I need an eRA Commons ID to submit my RPPR. Where do I start? To begin using eRA Commons, you must register for a Commons ID. 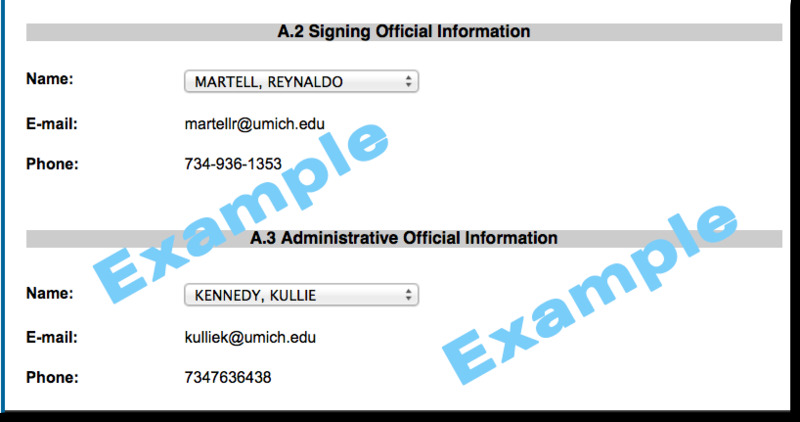 Please be sure to use your U-M email when completing the registration. Once the eRA Commons ID is established, a PI can assign privileges to staff and collaborators of updating personal profiles and assisting in submitting a non-competing renewal. This page is designed to provide U-M project teams (research adminstrators and principal investigators) with the necessary information to complete the required National Institutes of Health (NIH) Research Performance Progress Report (RPPR). The Research Performance Progress Report (RPPRs) is required at least annually, for NIH-funded studies, to document accomplishments and compliance with terms of the award. All non-competing renewals must submit RPPRs. RPPRs update scientific progress, significant changes, personnel, and plans for the subsequent budget period. Who initiates and submits an RPPR? All RPPRs are submitted to NIH through the eRA Commons online system. Only the PI can initiate the RPPR process in eRA Commons, and then in most cases, an institution’s Signing Official, such as an ORSP Project Representative, must actually submit the completed report to NIH. A more detailed process is outlined below. The RPPR process requires that progress report submissions are due either 60 or 45 days prior to the new budget period start date. What should a Project Team know about the RPPR process? All RPPRs are submitted to NIH through the eRA Commons online system. 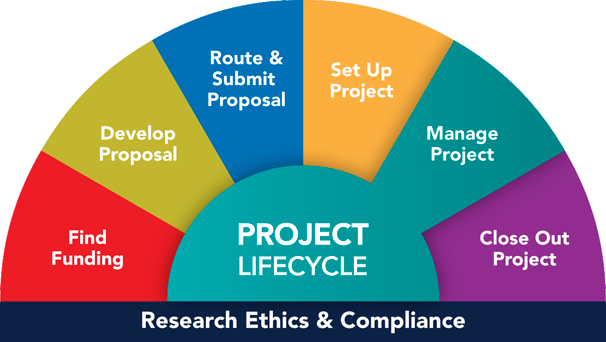 The Principal Investigator (PI) must initiate the RPPR process in eRA Commons, and an institution’s Signing Official, such as an ORSP Project Representative, must actually submit the completed report to NIH. On a monthly basis, ORSP staff members run a list of upcoming RPPRs in eRA Commons. Our staff members alert project teams, via a posted comment on the eRPM AWD record, of any upcoming RPPRs. ORSP staff will include our "PHS Key Personnel Annual Reporting: Financial Conflict of Interest Form" requesting information such as a list of current project team staff and other documents that you may need to update as part of the process. An RPPR may require an update to your Inclusion Enrollment Record. As detailed above, this is now done in NIH ASSIST. Once the update is completed in ASSIST, it is necessary to update the status in eRA Commons to "Ready for Submission" (rather than "Work in Progress"). In eRA Commons, route the RPPR to the requester (i.e., the ORSP staff member who sent it to you) for review. Return the completed form(s) via an attachment to the "Post a Comment" activity in the AWD Record in eRPM. Begin your reply with “REQUEST RPPR REVIEW” in the text box, in all caps. Once these steps are completed, ORSP will review and submit the RPPR. Click Route and select the appropriate ORSP Staff person’s name to assign them as the reviewer, or click Recall to assign the application to yourself. Note: RPPRs that have been assigned to you display in your RPPR Inbox. Click Check for Errors. If any errors display, continue with step 5. If no errors display, skip to Phase III. ORSP gets the email alert from eRA Commons and then ORSP goes into the eResearch Proposal Management System (eRPM) to see if the project team has returned its Key Personnel Form (short version) and contacts the team if the form is not returned or the form is incomplete. On the cover page, whom should I include as Officials? Our Congressional District is now MI-012. Our address is 3003 S. State St., Ann Arbor, MI 48108. Each performance site should only be listed one time. What is the eRA Commons? What is the xTrain Module? electronically process and submit appointment forms (the PHS 2271 Statement of Appointment form) and termination notices (the PHS 416-7 Termination Notice) associated with institutional research training grants. electronically prepare and submit T32 and T35 Statements of Appointments, and T32, T35, F31, and F32 Termination Notices. Internet Assisted Review (IAR): The ability for a PI as a reviewer to submit critiques and preliminary scores for applications being reviewed. Financial Status Reports (FSR): The ability for financial report filing via the Commons by the University's Sponsored Programs Office. Financial reports are submitted automatically by Financial Operations. Closeout reports: The ability to submit final closeout reports electronically for grants that have ended. NIH closeout reports and questions should be addressed to orsp-nih-rppr@umich.edu. When do I need to work on this? What are the due dates? What is this warning about a Non-Compliant Publication? If you have already consulted the helpful NIH Public Access site, and are still unable to come into compliance, the U-M Library staff may be able to assist. Send an email request for assistance to: nihms-library-support@umich.edu. Are there resources or guides to help me learn how to work with RPPRs? Yes. NIH offers a comprehensive RPPR Instruction guide. On my RPPR cover page, whom should I select as Signing Official? What should I put for Participant's Effort in my RPPR? Please remember to include the correct effort. Only place "0" (zero) if applicable to award type (i.e. T32) and according to the NOA from the sponsor. NIH's Research Performance Progress Report (RPPR) Guide A link to the current NIH and Other PHS Agency Research Performance Progress Report (RPPR) Instruction Guide, and other instructional resources. NIH electronic Research Administration (eRA) Guides and Documentation Excellent support for eRA Commons resources including: Just-in-Time, ASSIST, IAR, RPPR, FCOI, FFR, iEdison (Invention Reporting). U-M NIH Access Policy for Publications (ORSP Link) Information on the NIH Public Access Policy and the use of the My NCBI's My Bibliography for managing eRA Commons and for complying with the Policy. NIH Extramural Nexus The NIH Extramural Nexus provides regular updates on NIH grants policies and activities that affect the entire grants community. Articles by month. Questions about RPPRs: Contact your ORSP Government Team Project Representative.